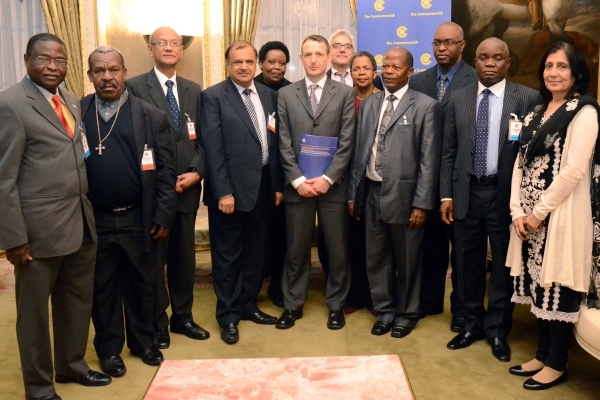 Commonwealth Ministers of Education met in London in December 2012 and developed recommendations for post-2015 which are now feeding into the UN discussions and wider debates. They discussed the need to re-focus on learning without compromising efforts to secure 100% access; to align the EFA and education MDG frameworks; and to pay more attention to equity. Commonwealth ministers correspondingly recommended that three core concerns – access, quality and equity – should run through all education goals, and that EFA and MDGs should be harmonised to avoid overlaps or gaps. 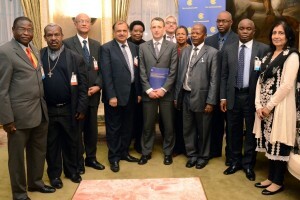 Ministers proposed that three principal goals for education should be contained in the post-2015 development framework. These would be positioned in the framework in a similar place to the current education MDGs. The principal goals would be supplemented by six more detailed, subordinate goals. These would have a similar function to the current EFA goals. Targets and deadlines would focus on 2025, but options would be available for individual countries, depending on starting point, ambition and capacity. Every child completes a full cycle of a minimum of 9 years of continuous, free basic education and demonstrates learning achievement consistent with national standards. Learning is rightfully being focussed on in the debates about the post-2015 framework. This is partly because of the problem of children being in school but failing to become proficient in basic skills, and partly due to access having previously been prioritised due to the phrasing of the current MDGs. Post-basic education expanded strategically to meet needs for knowledge and skills related to employment and livelihoods. Reduce and seek to eliminate differences in educational outcomes among learners associated with household wealth, gender, special needs, location, age and social group. vi. Provide adequate infrastructure for learning according to national norms for buildings, basic services, safety, learning materials, and learning infrastructure within appropriate distances of households. d) Education for Sustainable Development – Education for sustainable development mainstreamed in all education policies, teacher and school leader preparation, and curricula. In their meeting statement, Commonwealth Ministers of Education reaffirmed the centrality of education to all development objectives. This summary provides more details on the Ministers’ recommendations. The rationale for the recommendations can be found in this Background Paper, while this Issues Paper identifies education priority areas in the Commonwealth. We would welcome your engagement in the continuing discussions on education in the Commonwealth; send an email to education@commonwealth.int and we will sign you up to our online workspace in Commonwealth Connects. 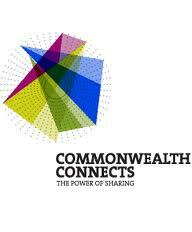 The Commonwealth Secretariat acknowledges the contribution of Professor Keith Lewin to the Working Group. ‘Good Education’ Tops MY World Survey Results: Fuel for the Fire?